With the regular season about to begin (hooray! ), it's time to wrap this series up before the puck drops tonight. Thanks to everyone who read part 1, part 2, part 3, part 4 in this series. I can't wait to update you on how wrong I've been. A special thanks to Bobby Ryan, Ryan Johansen, and the captain-less Montreal Canadiens for busting three of my predictions predictions before the season even started! Good: If the LA Kings don't cement their dynasty by winning a third cup in 4 years, expect Chicago to lay claim to their own dynastic status by winning their third in 5 years. Either way, the Kings and Blackhawks will meet in the Western Conference Final, and whichever wins will handily defeat the Eastern Conference champs. Bad: Brad Richards will not rediscover his goal-scoring form, nor will he ratchet up enough assists to earn his keep on the second line. This lack of productivity, combined with wear and tear to aging scorers such as Marian Hossa and Patrick Sharp, will lead to the Blackhawks struggling to muster enough offensive power to win games this season. Ugly: The goal-scoring difficulties will be exacerbated by Corey Crawford, who will continue to baffle onlookers with his wildly inconsistent goaltending. One minute, he's snagging a surefire goal. In another, he's letting shots as hard as soft-serve ice-cream glide into the net. Good: While enforcers continue to disappear from the ice, Patrick Roy will ensure that they have a place behind the bench. The feisty bench boss will pioneer the role of coach/enforcer as he gets into verbal and perhaps even physical confrontations with colleagues such as Bob Hartley this season. Bad: Off-season acquisitions Jarome Iginla and Daniel Briere will not gel with their teammates. As a result, the team will play as an incongruous mixture of young speedsters and plodding veterans. Except issues with pacing to derail the team's playoff aspirations. Ugly: Semyon Varlamov will continue to be a source of controversy. He will outdo his his celebration of the Crimea's annexation by supporting other polemical issues such as Russia's claim to the Arctic and Putin's canonization as the patron saint of the Cold War. 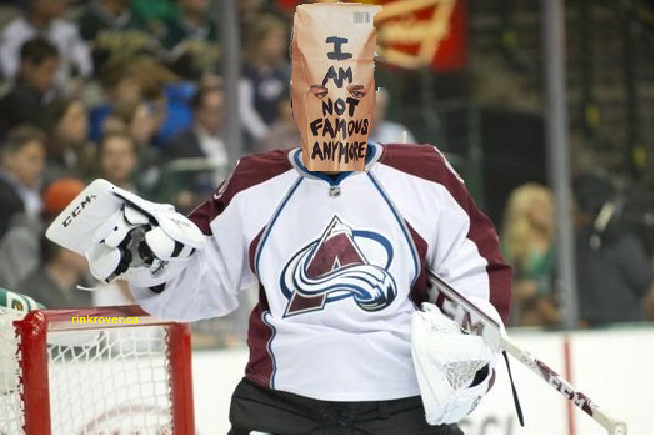 When Varlamov goes too far, he will try to recuperate his image a la Shia LeBeouf. Good: Jason Spezza will re-sign with the team at a decent price, and a resurgent Ales Hemsky will follow suit. Dallas will be a fearsome opponent with these double threats in addition to Tyler Seguin and Jamie Benn. Bad: Even though they're dangerous, this team will struggle because of the quality of competition in their division. The Blues and Blackhawks will not make life easy on the rising Stars in Dallas. If a darkhorse candidate threatens the Stars' place in the division's top-three rankings, Dallas will be hard-pressed to win one of the Western Conference's wild cards. Ugly:The Stars will score, but they will not defend well. As a result, their highly-skilled forwards will have to make up for the team's deficient defence by outgunning teams. Expect a lot of games in which the team is forced to regain numerous blown leads. Good: If Ryan Suter suits up for 82 games this season and plays as solidly as ever in an increasingly tough division, he will be a shoe-in for the 2015 Norris Trophy. Bad: I hate ill-wishing a player, but I have a feeling that Ryan Suter will miss a considerable amount of time this season due to injury. Minnesota has simply overburdened its star defenceman, and those grueling nights of playing upwards of 25 minutes will take their toll. Ugly: This injury will expose the team's spotty defence. The Wild simply do not have a substitute for Suter's minutes; hence they played him to his breaking point. In the absence of someone to conceal their blueline's liabilities, Minnesota's already-spotty goaltending will become porous. Good: By the end of the season, head coach Peter Laviolette will have the Preds playing a balanced, two-way brand of hockey. Fans in Nashville will no longer be bored by offensively-anemic games. Bad: There will be growing pains as the team adapts to a different coaching philosophy after the departure of their only head coach in franchise history. Ugly: The Predators won't reach the playoffs, but they may position themselves to make it next year if they ride out the ups and downs with Laviolette and draft well with their crop of high picks in June 2015.However, I have a feeling that they may get antsy and make disastrous moves like hiring a new bench boss and trading away their picks to quick fixes. Good: Paul Stastny will shine in St. Louis, making himself one of the best free-agent acquisitions in the modern NHL. He will be seen as the sort of hometown hero that the Leafs hoped to get by signing David Clarkson in 2013. Bad: While Stastny will improve the team, those improvements will not make the Blues dominant. Rather, his offensive output will only help the team keep pace with with its two biggest rivals this season: the Blackhawks and the Stars. Ugly: Ken Hitchcock will once again fail to lead the Blues deep into the playoffs. As a result, he will be fired during the off-season and replaced with the worst possible option: John Tortorella. 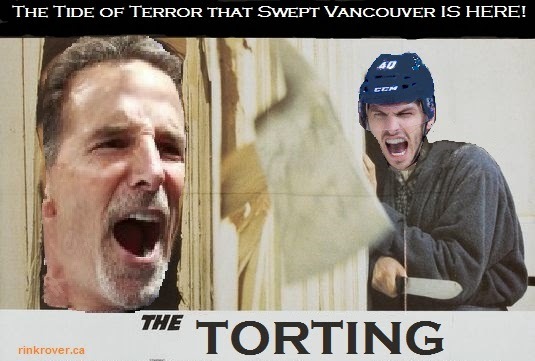 Nothing short of a hedge maze and an unusually cold winter will save St. Louis from the wrath of Torts. Good: Alleged GM Kevin Cheveldayoff will finally trade disgruntled winger Evander Kane after the budding superstar has dropped several hints that Winnipeg if not his favouritest place to play. Bad: Aside from finally completing the long-overdue Kane trade, Kevin "Nero" Cheveldayoff will continue to fiddle while his roster ages and stagnates in an increasingly tough division. Ugly: Alleged goaltender Ondrej Pavelec will continue his decline, leaving the Jets essentially defenseless as the produce the worst goaltending stats in the league. Fans will clamour for the team to sign Martin Brodeur or Ilya Bryzgalov as a quick fix, but Cheveldayoff will do nothing as his favourite pastime is tormenting Jets fans with his Hamlet-esque inactivity.